Now that it’s winter, it seems like everyone gets sick. Last month, we talked about how to tell if you have a cold, the flu, or just allergies. This month we want to talk about how you can avoid getting sick in the first place. After all, no one likes to be sick. It might seem inevitable, but there are several things that you can do to keep you and your family healthy this flu season. Of course, flu and cold viruses are spread in a multitude of ways. However, one of the biggest ways that germs enter your body is through your mouth, eyes, and nose from your hands. This is why it’s important to make sure that you’re washing your hands regularly. Don’t touch your face if you haven’t washed your hands. Be sure to wash your hands before preparing or eating food as well. Be sure that your kids know to wash their hands often as well. You might also consider a small portable bottle of hand sanitizer for times when you’re out in public and can’t wash your hands often. You can get cute hand sanitizer holders that attach to backpacks that make it more likely your kids will remember to use it. Hand washing can only do so much, especially because germs are spread through other methods, such as in the air. Thus, it’s important to have a good line of defense against germs. A healthy immune system can keep you safe from many illnesses. The best way to keep up a healthy immune system is to keep your body healthy. Eat a balanced diet, and make sure that your kids do too. A healthy diet encourages a stronger immune system, which helps to protect you from all sorts of sickness. Also be sure to keep hydrated. Not only does water help maintain and strengthen your immune system, but it also helps your body to flush toxins out of your system. Exercise can also help you to boost your immune system. You don’t have to hit the gym, just run around outside with the kids or take a family walk. Your family spends the most time in your home, so it’s important to make sure you are keeping your home as healthy and clean as possible. Stay on top of regular cleaning. Also be sure that you regularly clean the “touchpoints” in your home which are the places that you touch the most, such as light switches and doorknobs. These places are full of germs because of how often they are used. Also be aware of the fact that germs settle on clothing when you’re out in public, so be sure to wash clothing in a timely matter. Use the hot setting on your dryer to kill any germs that make it through the wash cycle. You have some surfaces in your home that help to naturally clean your home for you. Your upholstery and carpets tend to act as natural air filters, catching germs and bacteria from the air. However, eventually your carpets will become full of germs and instead of catching them, they will expel them with every step instead, making your air worse. The correct way to handle this is get your carpets and upholstery regularly. 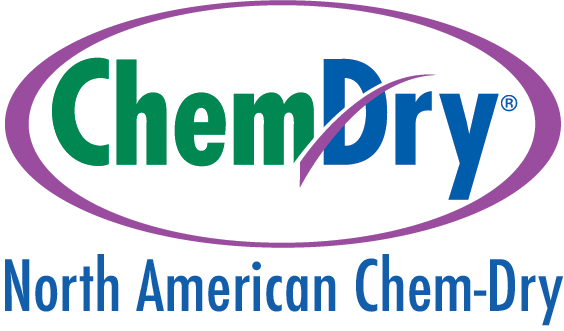 A carpet cleaning expert will be able to remove germs from your carpets and furniture so that they can get back to cleaning your home for you. If you or one of your children does get sick, do whatever you can to keep from spreading it to others. Of course, the best way to keep others from getting sick is to not expose them in the first place, so if you get sick, stay home! Be sure to prevent the spreading of germs by sneezing and coughing into tissues or at least into your arm. Wash your hands, and disinfect the surfaces you touch. If you need to see a doctor, do it! Many people avoid seeing a doctor, thinking that it isn’t necessary. But a doctor can help you to get better and prevent spreading the illness to your family or others. You have a temperature of 100.4 or higher. Your symptoms last more than 10 days. Your symptoms are severe or unusual. You have a child younger than 3-month-old who has a fever. 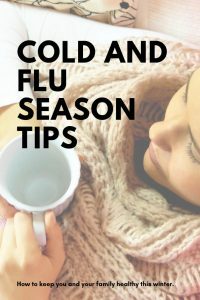 While winter is known as flu season, there are many steps you can help to try to keep yourself and your family healthy this winter!